Does it drive you nuts when you wash a washcloth a couple times in the washing machine and it completely falls apart? 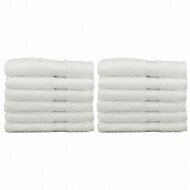 It’s tough to find towels, no matter what their size, that will stand up to repeated washings. That’s why we offer our premium white washcloths in an 86-14 blend to give you the most durable product possible, which will stand up to repeated washings. These washcloths are 86% cotton and 14% polyester, making for a blend of fabric that’s tough enough to go through the dryer over and over but still soft on your skin when it comes out. We make these 12 x 12 washcloths for people like you who want great products at a reasonable price. At Towel Super Center, we value our customers, so we offer discounted pricing when you stock up on our products, which we sell by the dozens. It pays to buy in bulk. It saves you time on replacing your washcloths down the road, and you’ll get a deeper discount the more you order from Towel Super Center. Taking Care of Your Wholesale 12" x 12" Washcloths Is Quick and Easy! Always launder your washcloths as soon as they're soiled. This helps keep grit and debris from soaking into the fibers. See a stain? Pre-treat it for better results. Feel free to try any pre-treatment sprays or solutions — there are even organic options if you want something free of chemicals, dyes and fragrances. Avoid using liquid laundry softeners — you don't need them. Instead, add a dryer sheet to the tumbling cycle, and your towels will come out with a plushness you and your guests will love! Fold and store your dried towels soon after the cycle ends. That way, they'll be ready to go and their fibers will pile as high as possible! Had it up to "here" with your current white washcloths? Replace them all for very little per washcloth when you choose Towel Super Center. You'll end up with all-new washcloths for your residence or commercial space. Plus, you can even buy other types of coordinating towels to spruce up every inch of your house or workplace. Lushness couldn't be easier — order your wholesale premium white washcloths made of a cotton and polyester mix today! 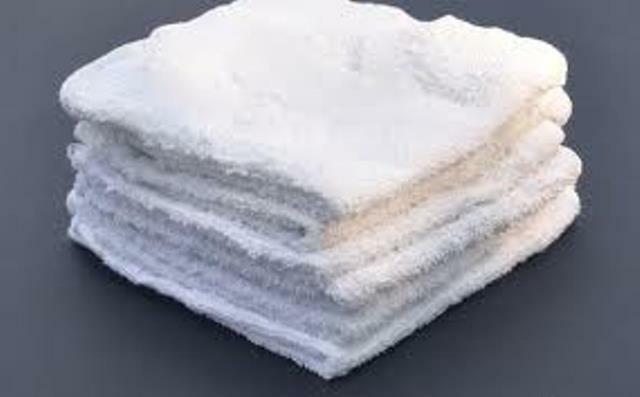 We offer extra-soft white washcloths you can use for nearly any task, from cleaning your body to washing your windows. Washcloths are multi-taskers that can move from room to room and serve whatever purpose you or your business may need. Contact us today to discuss our pricing options and to get white washcloths that will stand the test of time and washing machines.